Welcome to the Forum oldfarmer ! Andy Kim is a legend down there, if you can afford a one day wade trip with him you will be amazed at how effective he is on that river. The San Juan river sees a lot of fishermen and the trout can get pretty selective, that being said if you can fish small flies (size 22-26) and have your presentation skills down, then you will do fine, otherwise hire a guide, at least for one day. The river bottom is pretty silty, so it has a tremendous midge population so you can't go wrong with fishing midges. Are you RV camping or primitive? Cottonwood is on the river, Pine and Sims are on the lake. It's not a long drive from any campground to the "other" water so I guess I'd ponder which you want to fish more and camp next to that . Cottonwood is very nice and is just under a mile from the bottom of the Special Trout Water (Quality Water). The fishing all along that stretch is very good. It's about a 10 minute drive (3.5 mile hike) to the top of the STW and Navajo Dam. It's worth the time to stop into Abe's or Float 'n Fish when you get there to get up to the minute advice on flies. 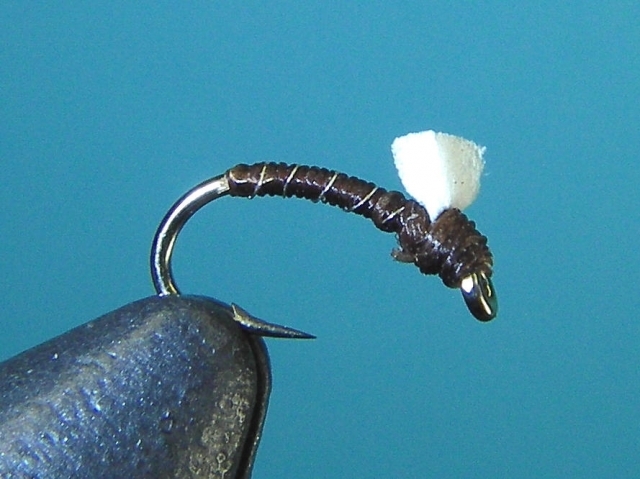 Midges, annelids, and worms are good all year round but by then the mayflies (baetis) should be hatching regularly and there should be caddis as well. Streamers and leaches also work most of the time and I like tossing terrestrials among the willows on the upper flats in the summer. Also, be careful to check on the flow. That time year the BOR may be flushing the river to support threatened minnows downstream and that flow may be as high as 5000 CFS. It only lasts a few days but it will obviously alter what you want to toss during that period and it makes wading a tad thrilling . 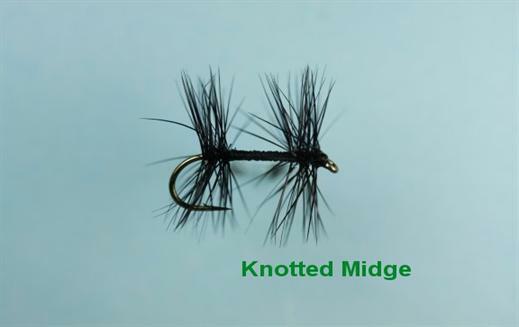 Are you buying flies or tying? If you are tying I can point you to some recipes. If you are buying you can stock some up before you go, but leave some fly budget for the local shops since THEY WILL advise you about what you need and sell them to you. I caught most of my fish last time I was there on small Miracle Midges, Foam back emergers in grey and brown, red annelids (these were 18's), and tiny little mating midge dries. Down river some I hooked a big brown on a streamer but lost him at the net. Mating Midge fly was kinda like this but in Dun color. The guys from Rough Rider guide flies specialize in San Juan flies and you can look at this list for an idea of what works. I just got back from there. There were 25 vehicles parked at Texas hole every day this week. Its a zoo year-round, so I can't imagine late spring. however, I caught fish on dries daily, despite only a sparse showing of midges. I never went smaller than 18, and get this, I caught fish on beetles, ants, one on a #12 hopper, and quite a few on a #16 triple double (renegade-like fly). Now, the water is very "stained" (muddy) right now coming out of the reservoir. Visibility about 18". It may be harder to use bigger flies in clear water. Roughrider Guide Flies comes recommended, plus Paul's good people and a pleasure to do bidness with. Yes, hit the shops. Last month I was there and fished leeches and annelids in the murky water. Caught more on the annelids. The San Juan River Forum has a number of people that know the river very well. Like the previous poster, I've caught fish there on "weird" (at least according to conventional wisdom on the Juan) flies. A #14 renegade was the ticket last year to one of my best days ever on the river. Yes, it'll probably be a zoo, but you can find some space with a bit of walking. I'll know more real soon now, since we're going to be up there quite a few times April/May. Late May and early June can be some fantastic fishing on the Juan. Yes, it will be crowded, get there early and move around a lot. I always like to just stay ahead of the crowds as most people start around the Texas Hole and begin migrating upriver, just keep ahead of the hordes. Not looking like a flush this year, but hope they bump the flows some as animas starts coming down. Mudbug and Lacanadio, thanks for mentioning my website. I am thinking that midges will be on the menu bigtime by then. Might be a few straggler BWO's but won't be the main item on the menu. Streamers in low light, once the midges get moving, emergers and dries will be important. Feel free to PM me if you have any questions that have not been answered here. That's really a great time of year to fish the Juan. Lots of bug activity. Some of my best days on the upper flats and lower was a dry/dropper grifiths gnat and a dark gray rs2. Sedgammers and caddis emergers work great down stream. Closer to the dam, smaller the bugs. Don't be afraid to use the "worm"...it will put fish in your net . Dead drifting a small black woolly bugger worked for me as well... Then let it swing with a slow strip. Again rs2's worked great in the film as an emerger or as a dropper on a double nymph rig. Good luck! The San Juan has been fishing good and is only improving as the water is finally clearing from the long turnover that we had this year. I fished it Friday and started to pick up the bigger fish that had made themselves scarce while that water was murky. Midges and red annelids have been working great for me all up and down the river. 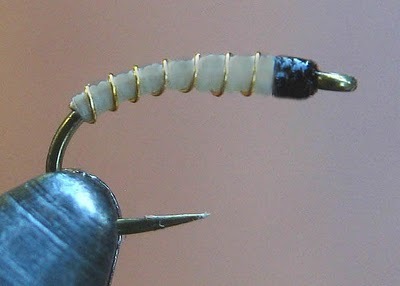 The hatches are also getting better so you guys should get some good dry fly action when your here. I have also been doing great on streamers in the back channels in the afternoons. Like was said above there are a lot of cars at the Texas hole parking lot, but most people are stacking up in the Texas hole itself or in the new construction in the braids. So a little exploring will get you away from people and you will get on fish. I will have to disagree with a few in here on Andy Kim, but that's all I will say on that. You guys will have a great time down here, there is a ton of fish and the water should hopefully be cleared up by then. If you have any other questions shoot me a PM, and hit me up before your trip. I usually fish it a few times a week so ill let you know how its looking before you guys get here.